Most carpet cleaners still use the old manual wand method of carpet cleaning simply because it has been around for over 40 years. 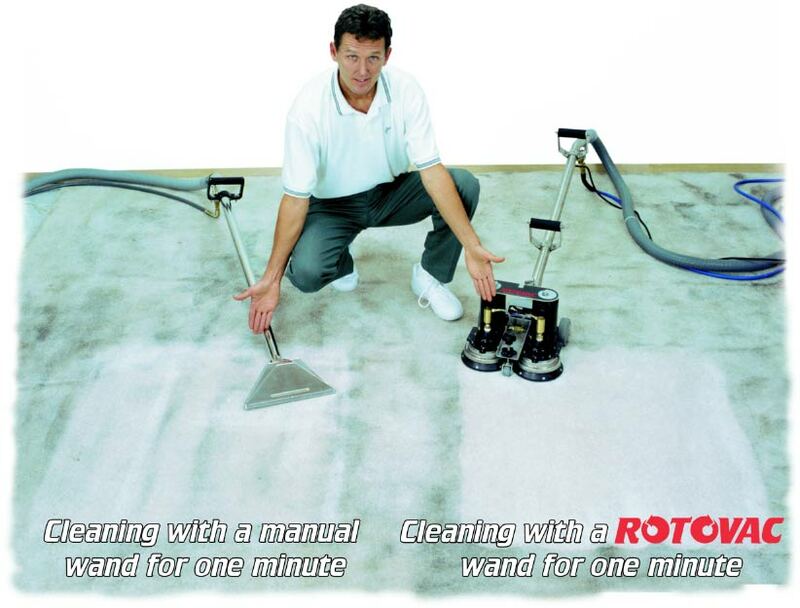 Technology has greatly advanced with the advent of the Rotovac Powerwand. When calling to have your carpets cleaned insist on a professional that uses the Rotovac to ensure the most thorough cleaning available.